Clay bodies used in machine forming must have a correct stiffness in order to optimize the forming process. Great effort is expended in the body mixing departments of factories to produce a product of standard stiffness and plasticity. 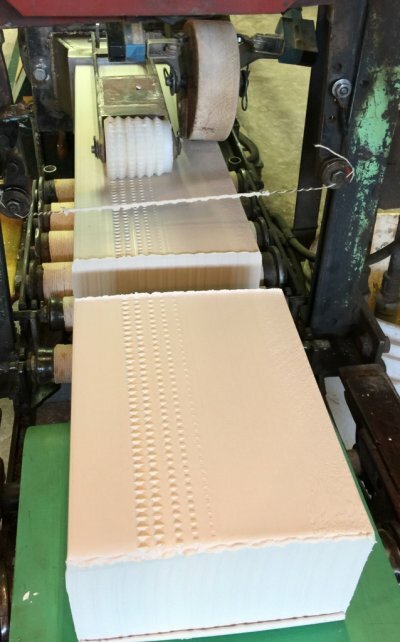 In such production situations, the body is used soon after it is made and there is no need to worry about how the stiffness might change over time. However companies that manufacture bodies (either for use in large scale production or by potters) need to consider this. Some bodies soften over time, others stiffen and there are a range of reasons why this happens (e.g. slight solubility in one or more materials, the presence of electrolytes in the water used, particle agglomeration). In addition, it is common for bodies to appear to stiffen, but re-soften as soon as they are wedged or moved. Each body has its own specific water content percentages that correspond to specific stiffnesses. Usually, the more plastic it is the more water is needed. Water contents can vary with changes in the materials, so it is common for production departments to put more weight on the feel of the material leaving the pugmill and use the water content numbers as a secondary guide when deciding how to run the body. Although there are a variety of devices employed to gauge stiffness, the usefulness of these is often questioned by experienced people (who prefer simply judging by feel). Cracking problems with drying rise exponentially as the water content of pugged clay rises. So it is better to avoid softer clay unless you have experience using it for the application you intend. Is the clay too stiff to use? Maybe not. Clays of very high plasticity often stiffen during storage in the bag. 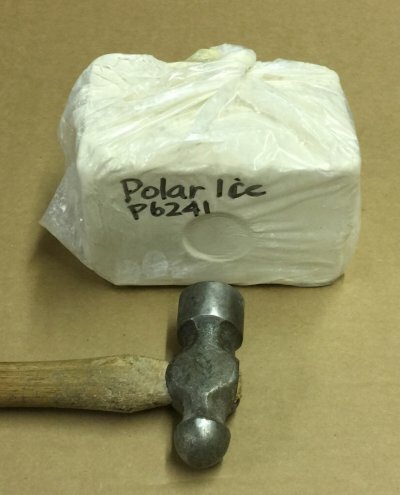 This is Plainsman Polar Ice, it contains 4% VeeGum. This slug is like a brick, yet it will totally loosen up completely when wedged. If a clay is too stiff to wedge you can simply throw it on the floor a few times (turning it each time) to pre-soften it for wedging. How do you measure the stiffness of a clay? Here is how the pugmill operator at Plainsman Clays gauges the stiffness coming out of the pugmill. That roller is on a slant and weighted. The softer the clay the more lines show. When they are like this (5th line steady) they know the water content is around 22% for this clay, Polar Ice. For other clays it is different. Stiffness at pugging must compensate when the clay tends to stiffen or soften over time on storage. Over the years they have tried many devices to measure stiffness, but this has proven the most reliable. This is an Arduino controller board that has been wired to a display and a moisture sensor probe (which is stuck into a piece of soft clay). The sensor outputs a voltage that varies with changes in the resistance encountered between the probes (according to the material being measured). In this case the controller is directly outputting the number being returned by the probe. A study is needed to compare outputs with actual measured water content, this data would enable changing the software to output the percentage-of-water directly. 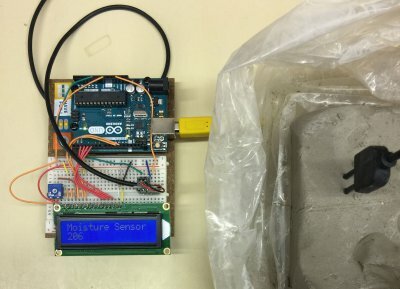 However this sensor is intended for soils, it is not giving repeatability and consistency for measuring the much higher water content found in pugged clay. So we need to find a better one.